Face masks are all the rage these days. Aside from making fun accouterments to Instagram shots, they are like power treatments that help boost your daily skincare routine by infusing high concentrations of ingredients into your skin. Here, we delve into the best face masks for your skin type. Clay and mud masks continue to grow in popularity; however, they are not interchangeable. Clay has a stricter definition — only particular minerals of certain sizes can be classified as clay. When it comes to mud, it could contain several different types of minerals. Yet you will find many “mud” masks that are made with clay, although they may also contain other types of soils. 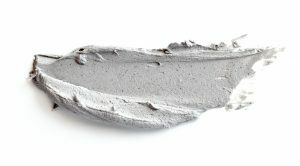 Types of clay masks include kaolin (most popular) and bentonite. Kaolin has a small particle size. This enables it to effectively draw out dirt and oil from the surface of skin and inside pores. It is gentle and less drying than bentonite. Bentonite clay (rich in calcium, silica and magnesium) is more detoxifying but can be especially drying or irritating. Marine clay, meanwhile, is neither irritating nor drying, and has trace amounts of algae and plankton to give skin an antioxidant boost. Clay and mud masks are ideal for oily or acne-prone skin. They draw out impurities like dirt and dead skin cells that clog pores, often leading to breakouts. A good clay mask used regularly can help clear pores to prevent blemishes from forming, and to remove excess sebum to make skin appear less shiny. Ready to try one for yourself? Whether you’re a novice with no idea where to turn or feel well-versed in the world of clay masks, take a look at our picks for the best clay and mud masks. We recommend Skinceuticals Clarifying Clay Masque, which contains both kaolin and bentonite clay to control oil production and clear pores, as well as chamomile and aloe to soothe and hydrate. Another great option is Origins Original Skin Retexturizing Mask with Rose Clay. Recommended for dry, oily and normal skin, this mask features Mediterranean rose clay, Canadian willowherb and exfoliating jojoba beads to give you a thorough clean while refining skin texture and tightening pores. The Borghese Fango Active Mud Mask uses bentonite clay to purify, but also adds in sweet almond oil and avocado oil to hydrate. The Aztec Face Mask is an affordable and popular choice — a cult favorite, in fact. It uses pure bentonite clay to reduce oil and get all that gunk out of your pores. It is absolutely free of fragrances, additives and animal products. Glamglow’s Supermud Clearing Treatment includes kaolin clay and adds in cucumber and aloe to provide moisture and keep skin from overdrying. Fresh’s Umbrian Clay Purifying Mask features Umbrian clay from a town in Italy, and also includes sandalwood oil to act as an astringent and chamomile and lavender for soothing effects. Fig + Yarrow’s Organic Clay Masks feature a variety to choose from depending on your skin type with options for dry, oily, sensitive and combination skin. Lastly, the L’Oreal Paris Pure Clay Mask includes kaolin clay and Moroccan lava clay to purify skin, with charcoal added in to give an extra good scrubbing of the pores. There’s nothing quite as satisfying as a peel-off face mask. When you slowly remove it from your face and look at all the debris that came out of your pores, you can’t help but breathe a deeply satisfied sigh of relief. It’s almost spiritual. Peel-off masks are great for those with congested skin who suffer from comedones (blackheads). When dead skin cells don’t shed properly, they clump together and combine with sebum (oil) to form plugs in your hair follicles, or pores. These plugs protrude through the skin and oxidize, turning black or gray in color, hence the name. Salicylic acid is a beta-hydroxy acid that is among the most common ingredients to treat blackheads. Salicylic acid works by sloughing off all those dead skin cells that are stuck inside pores and slowly removing them. Prescription products containing retinol (vitamin A) can also be used to help exfoliate blackheads to minimize them or get rid of them altogether. There is also manual removal, though it is not often suggested because it can lead to scarring if not done correctly or by a professional. This is where charcoal peel-off masks come in particularly handy. With a peel-off mask you don’t have to physically dig in with your fingers (shudder) or other tools to extract the blackheads. And charcoal? It’s excellent at drawing out all the dirt, oil, dead skin cells and other grime that clogs a pore and stretches it out to make it appear much larger than it really is. This is essentially what can cause pores to enlarge in size. Once pores are unclogged with charcoal, they can tighten back into their original size. Some of the best charcoal peel-off masks include ones from Boscia, Clinique and Origins. 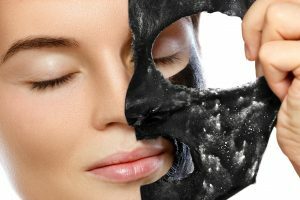 The Boscia Luminizing Black Charcoal Mask also contains vitamin C to help even out skin tone by reducing discoloration. The Clinique City Block Purifying Charcoal Mask and Scrub features bamboo charcoal and kaolin clay to thoroughly cleanse pores. The Origins Clear Improvement Active Mask also features white China clay in addition to charcoal to reduce environmental toxins from pollution and the like. Acne is a very common skin problem that affects millions. Most common during the adolescent period when hormones are changing, it is nonetheless also a problem for many adults. Adult acne may be especially embarrassing for sufferers because they feel that they should’ve passed this skin hurdle by the time they are of a certain age. Pimples, blackheads and breakouts occur when a hair follicle becomes clogged with oil and dead skin cells. If the clogged pore does not become infected with bacteria, it remains a blackhead. If it does become infected, it will turn into inflamed red bumps that can sometimes be very painful. Acne can do a number on one’s self esteem, especially if it’s particularly stubborn — and it often is! Dealing with it can be a protracted frustration for many, but there are a variety of treatment options out there. Face masks for acne are becoming a popular treatment choice for a lot of people. They are easy to use, and come stocked with lots of effective ingredients to help prevent and reduce the appearance of lesions. Salicylic acid, sulfur, types of clay, benzoyl peroxide and alpha-hydroxy acids are popular ingredients you may encounter often, as they are among the most efficient. Among our favorite face masks for acne is the Peter Thomas Roth Therapeutic Sulfur Mask Acne Treatment Mask, which contains 10% sulfur and kaolin and bentonite clays to control oil, draw out impurities and shrink pimples. Another great option is the Tata Harper Clarifying Mask, which is good for all skin types and contains an alpha-hydroxy acid blend and quartz sand micro crystals to fully and diligently exfoliate clogged pores. You can also try the Neutrogena Light Therapy Acne Mask. Neutrogena is a great drugstore brand, and this mask utilizes light therapy to help skin heal. We further recommend Clinique’s Acne Solutions Oil Cleansing Mask, which contains kaolin clay to reduce sebum (oil) and clear out blocked pores. Rounding out our list are Zo Skin Health Offects Sulfur Masque and Pai Copaiba Deep Cleanse AHA Mask. The Zo Skin mask also contains sulfur, kaolin and bentonite like the Peter Thomas Roth mask, while the Pai Copaiba mask employs the effects of alpha-hydroxy acids to clear up breakouts. Flakiness, itching, rough texture — these are all frustrating symptoms of dry skin that are a concern for many. Dryness can also be a prelude to dermatitis (inflammation of the skin) and make aging skin look even worse. It can be caused by climate, skin diseases like eczema and psoriasis and, maybe somewhat surprisingly, aging. As we age, skin becomes thinner and more likely to dry up. This often makes wrinkles and fine lines look more prominent as well. In short, yes, you want to do everything you can to nourish and hydrate your dry skin to keep it soft, smooth and healthy. And super hydrating masks and moisturizers are your best bet. Hydrating masks in particular give a powerful burst of moisture to help heal parched skin and restore its radiance. As you peruse ingredients lists, you may encounter glycerin, hyaluronic acid and panthenol (vitamin B5) and certain botanicals as a few of the ingredients that provide skin-quenching, lasting hydrating to give you plump, rejuvenated skin. Our recommendations include the Laneige Water Sleeping Mask, Origins Drink Up Intensive Overnight Mask, Dermalogica Intense Moisture Balance, Amorepacific Moisture Bound Intensive Serum Mask and Fresh Rose Face Mask. The Laneige mask provides hydration with hydro ionized mineral water and features eight-hour time-release technology to keep skin hydrated for the long term. The Origins mask is a nighttime mask utilizing avocado and apricot kernel oil to replenish lost moisture throughout the day. The Dermalogica mask strengthens the skin barrier to keep it from losing moisture. The Amorepacific and Fresh masks employ hydrating Asian botanicals and rose petals and rosewater to infuse the skin with calming, healing moisture, respectively. Who hasn’t tried a sheet mask at this point? The ubiquitous face masks have won a devoted following after being popularized in Korea and making their way pretty much throughout the globe. These hydrating masks are usually made from cotton, fiber, coconut pulp or cellulose, and are meant to be placed over the face with cut-outs aligning with your eye, nostril and mouth areas. Sheet masks work by providing a barrier to keep all the hydrating and skin nourishing ingredients inside where they can be adequately absorbed by the skin, without evaporating before they’ve had a chance to do their job. Sheet masks are full of humectants that bind water to the skin, moisturizing it and plumping it up. Other ingredients commonly found in sheet masks include hyaluronic acid, peptides and botanical extracts. Sheet masks can be targeted toward certain skin concerns like aging and acne, and can give pretty much every skin type a powerful dose of moisture. Dehydrated skin can suffer from various problems, including accelerated aging, a weakened skin barrier and more pronounced lines and wrinkles. Sheet masks are a quick and relaxing way to hydrate that won’t break the bank (usually). Choosing a sheet mask can often feel daunting. The market is positively inundated with them, but having options can also be great when sheet masks are for one-time use only. You can experiment with a variety of them — up to seven a week if you do as some celebrities do and use one every day. Start by narrowing down exactly what you want to gain from your sheet mask and act accordingly. There are anti-aging masks, brightening masks, hydrating masks and anti-acne masks. We recommend the SK-II Facial Treatment Mask, Lancome’s Advanced Genifique Hydrogel Melting Mask and Estee Lauder’s Advanced Night Repair Concentrated Recovery Powerfoil Mask. SK-II’s sheet mask targets dullness, uneven skin tone and loss of firmness. It is infused with Pitera, a special ingredient full of amino acids, vitamins, minerals and organic acids that target aging skin. Japanese sheet masks usually come in bulk, unlike Korean ones which often only have one per pack. This also makes them a great value, since sometimes there can be as many as 30 masks per pack. The Lancome sheet mask is infused with Bifidus extract, a bacterial extract that hydrates, reduces skin sensitivity and increases skin resistance to physical and chemical stressors. Estee Lauder’s Advanced Night Repair Concentrated Recovery PowerFoil Mask is a great face mask for dry skin. It powerfully hydrates with two times hyaluronic acid. The foil-backed sheet helps the ingredients penetrate into skin quickly and efficiently. Sensitive skin usually falls into two categories — sensitive skin as a result of genetics or sensitized skin that has become so from overuse of certain products like exfoliators or one too many chemical peels. Treating both is a delicate balancing act. Sensitive and sensitized skin can become irritated very quickly with products that have too many aggressive ingredients or even something as common as fragrance. Irritation usually takes the form of redness, flakiness, dryness, itchiness and an uncomfortable tight feeling. Both sensitive and sensitized skin can experience these symptoms. Sensitized skin can typically be treated as long as proper products are used. Naturally sensitive skin requires diligent care, usually for one’s entire life, since it can easily become irritated if you take a wrong step. Sensitive skin-friendly products will have very few ingredients and little to absolutely no fragrance. Products containing alcohol and retinoids or acids should also be avoided. Soothing ingredients to look for include aloe, colloidal oatmeal, allantoin, chamomile and green tea. Some of these ingredients also pack a powerful antioxidant punch to help neutralize free radicals that can lead to accelerated aging. A couple of recommended hydrating face masks for sensitive skin include SkinCeuticals Biocellulose Restorative Masque and First Aid Beauty Ultra Repair Instant Oatmeal Mask. The SkinCeuticals mask is a wonder for post-procedure skin. It provides a continuous cooling and soothing effect, reducing heat after chemical or laser treatments that can burn and irritate causing redness and stinging. First Aid Beauty’s oatmeal mask is a godsend for dehydrated skin that needs a burst of moisturizing hydration. Colloidal oatmeal, bisabolol (a component of chamomile) and shea butter make up the key ingredients that soothe, calm and moisturize. In as little as ten minutes, this mask can help put sensitive and sensitized skin on the road to recovery. Brightening and exfoliating masks help treat a number of skin ailments, including dark spots, breakouts and overall dull texture. Dark spots can be caused by acne (which can leave scars), sun damage (which can increase melanin) or simple aging. Dark spots can make skin look mottled and uneven, while also making the sufferer seem older than they really are. Brightening masks can contain ingredients like vitamins C and E, kojic acid and ferulic acid to help inhibit melanin production and gently and gradually lighten hyperpigmentation, whatever the cause. Exfoliating masks can also help lighten dark spots by sloughing away at the outer layers of skin, which often contain dead skin cells. Exfoliating masks help treat breakouts and dull texture in the same manner, by slowly removing dead skin cells and oil from pores, minimizing them to make them less noticeable and to refine texture. Exfoliating masks will often contain alpha-hydroxy (AHA) and beta-hydroxy acids (BHA) like lactic acid, glycolic acid and salicylic acid. These acids are very good at treating blemishes and breakouts by breaking down the factors that clog pores. Some great masks to start off with to treat discoloration and breakouts include the Shiseido Ibuki Beauty Sleeping Mask and the Drunk Elephant T.L.C. Sukari Babyfacial. The Shiseido mask utilizes a PhytoTarget Complex to protect skin from external stressors by strengthening the skin barrier. Vitamins C and E working together help diminish dark spots, while phytoplankton extract (full of vitamins and minerals) helps increase moisture for a plumper look. The Drunk Elephant mask combines AHAs and BHAs for a truly formidable attack against built-up dead skin cells. This formulation contains an incredible 25% of alpha-hydroxy acids and 2% beta-hydroxy acids to basically un-glue the binding that holds dead skin cells together. Niacinamide, or vitamin B3, is another ingredient in this mask that helps brighten discoloration and uneven spots. Aging affects us all. It is characterized by a gradual breakdown of essential skin proteins collagen and elastin that begins when we hit 30. This degradation ultimately results in loss of firmness and elasticity, which causes skin to wrinkle and sag. It can also cause an overall dull texture with large pores and dark spots that can truly age a person. Sun damage is a major culprit in aging. UV rays damage collagen and elastin, making the fibers lose their strength and structure. Other factors that cause aging include environmental pollution, smoking, too much alcohol consumption and the general passage of time. Anti-aging masks utilize a number of key ingredients to help prevent or reverse much of this damage. Peptides and vitamins, particularly vitamin C, help promote collagen production to counteract the natural degradation that occurs due to age or too much UV exposure. Hyaluronic acid, a humectant that binds water to skin, helps plump up fine lines and wrinkles to make them less noticeable in appearance. Retinol, or vitamin A, sloughs away at rough skin layers to soften the look of wrinkles. Niacinamide, or vitamin B3, promotes elasticity while also brightening. Antioxidants, like vitamin E and green tea extract, counteract free radical damage that also leads to the breakdown of collagen by negatively affecting healthy skin cells. Our picks for some of the best anti-aging and moisturizing masks are the Tatcha Luminous Deep Hydrating Lifting Mask, the Hanacure All-In-One Facial, the Decleor Hydra Floral Intense Hydrating & Plumping Mask and the Origins Plantscription Powerful Lifting Overnight Mask. The Tatcha mask incorporates Okinawa red algae and hyaluronic acid to give skin a glorious boost of hydration that will minimize lines by plumping them up. The Hanacure mask uses C02 OctoLift technology (carbon dioxide mixed with the gel) to tighten and lift skin, infusing it with a variety of peptides and plant botanicals, including lotus leaf extract, green tea extract, peony root extract and rosa canina fruit oil, that brighten, tighten pores, refine texture, even out skin tone and improve the appearance of wrinkles. Korean face masks are usually in great demand because they often utilize the most innovative technology and effective ingredients for results that cannot be denied. The Hanacure face mask in particular has gone viral recently because it delivers unique technology with almost immediate results — you can feel the tightening effect right away and your skin is luminous after just one use. The Decleor mask starts out creamy and melts into an oil that contains wild pansy extract and hyaluronic acid to smooth out wrinkles, making them far less noticeable. Finally, the Origins mask includes plant botanicals like anogeissus and commiphora, combined with red algae and sweet almond extract, to lift and plump, refining facial contours and minimizing wrinkles.